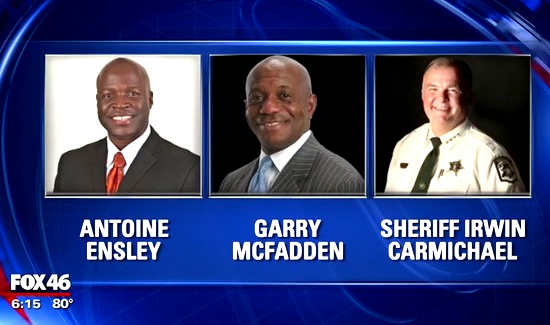 Incumbent Mecklenburg County Sheriff Irwin Carmichael conceded the sheriff’s race Tuesday night as former Charlotte-Mecklenburg police detective Garry McFadden cruised to an easy win. The result signals the end of a controversial immigration program in the county’s jail. McFadden had about 52 percent of the vote with all precincts reporting. Carmichael, who was in last place with about 20 percent of the vote in the Democratic primary, conceded just before 10 p.m. City human resources manager Antoine Ensley was in second place, with about 28 percent of the vote. McFadden is virtually guaranteed a four-year term as Mecklenburg County sheriff. No Republicans are running.